Rhubarb was the plant of Chinese Emperors. It was also highly prized by Kings and Queens of other countries. 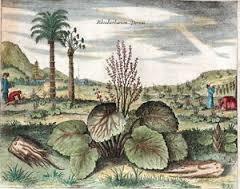 In the 1700’s, China tried to control the trade by forbidding the export of Rhubarb. 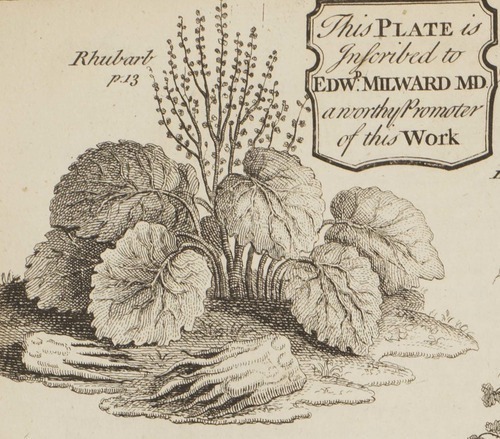 At the time, the price of rhubarb root commanded even more than opium. In fact, the root was so highly regarded and much sought after that in 1657, in England, it could command three times the price of Opium; in France 10 times the price of cinnamon, and four times the price of saffron, which at the time was the most expensive spice around (£6 per pound= £815 in today’s currency). In England, family secrets of production, and each families’ individual, much prized strains of rhubarb, were handed down from generation to generation. Growers fought to gain the much-prized awards for their own particular strains at annual Rhubarb shows. There was even a train line called the Rhubarb Express just for shipped Rhubarb to market. 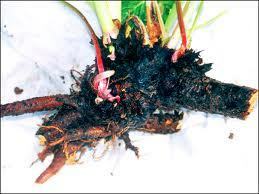 Today, it’s hard to believe that this root caused such a sensation. It’s not uncommon, though, to find that many people haven’t even heard of rhubarb, or know you can cook with it.This perennial vegetable grows well in zones 1-11, 14-24, 26-45; but best in zones 1-11, 34-45. Next : (to paraphrase. . . ) To Grow, or Not to Grow, Rhubarb in Your Garden. That is the Question.